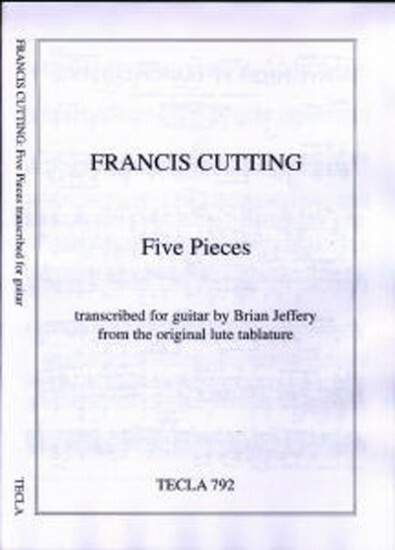 These five pieces have been chosen from the many lute solos by the Elizabethan composer Francis Cutting. We know very little about him, and he probably lived and worked outside London, but his elegant and expressive music speaks for itself. More of it may be found in Martin Long’s edition: Francis Cutting, Selected Works for Lute (Oxford University Press, 1969). This collection is one of a series of seven titles originally published by Oxford University Press, all of them lute music arranged for guitar by Brian Jeffery.